Hotspot Shield Review | Is it any Good and What Does it Cost? AnchorFree (based in California) first released the US-based VPN service Hotspot Shield as a free Virtual Private Network (VPN) in 2008. Since then, its service has been split into two products: a free service, and a premium VPN called Hotspot Shield Elite. In total, more than 600 million users around the globe have installed the VPN showing just how popular this product is on the global stage. Overall, we score this provider down due to being based in the US making it a poor option for those wanting ultimate privacy. However, this is a fast VPN that is considered better for unblocking than for privacy. Not supporting OpenVPN, we had to test Hotspot Shield Elite differently to other providers but the speeds we got were essentially 75% of our baseline speeds...very impressive! With these speeds, and a focus on streaming, it makes Hotspot Shield Elite a great option for those wanting to access streaming services such as US Netflix. The vast majority of those consumers use the free version, and there can be no doubt that Hotspot Shield has been an invaluable tool for people living in places suffering from website blackouts. For example, it was the main VPN used during the Arab Spring protests. In this review, we will concentrate on the premium "elite" version of Hotspot Shield (the paid version). With servers in 25 countries, Hotspot Shield Elite is undoubtedly a great VPN for unblocking content around the globe. The Chrome and Firefox browser extensions are proxy services (as opposed to a full VPN). The Chrome extension permits Hotspot Shield Elite users to connect to servers in 14 countries: the US, the UK, France, Canada, Chile, the Czech Republic, Spain, Sweden, the Netherlands, Turkey, Russia, India, Germany, and Singapore. The Firefox extension is more basic and doesn't allow subscribers to select a server location. Instead, it connects to a random "optimized location." Please remember that the proxy extensions will only work within the browser. They won't provide the privacy you get when spoofing your location using the full VPN. As such, the proxy is a nice extra for those who want it. However, it should never be considered the same quality as the standalone VPN client. Although the Chrome extension for Hotspot Shield comes with an ad blocker, the VPN doesn't. This is because ad blocking has to happen at the browser level. Thus, if you want to use Hotspot Shield's ad blocking, malware blocking, tracker blocking, and cookie blocking functions, you'll need to install the Chrome extension as well as the custom VPN client software. Hotspot Shield Elite comes with a browser extension for Google Chrome. You can access it via the "Products" menu. You can also install the extension from the Google Play store. Once you've installed the extension, turn it on/off by clicking on the blue shield icon in the top right of Chrome. The icon shows a red dot if the VPN is off and a green dot if the proxy is connected. I tested to make sure it was working using ipleak.net and found it to be effective. I got one IP address in the Netherlands and a number of Google Domain Name System (DNS) addresses (in the Netherlands and the US). Hotspot Shield claims that the proxy extension provides encryption. If this is true, then it must be providing a secondary layer of HTTPS. Sadly, I can neither verify nor refute this claim. If encryption is important to you, I recommend using the full VPN client. The Chrome extension allows you to connect to 14 server locations. Three of those (the US, UK, and France) are only available to Hotspot Shield Elite users. The locations available to free users are Canada, Chile, the Czech Republic, Spain, Sweden, the Netherlands, Turkey, Russia, India, Germany, and Singapore. I tested the default server on the Hotspot Shield Chrome proxy extension (without signing into my Elite account). This server is labeled "optimal server location." I'm in the UK and it connected me to Germany automatically, so it appears that the UK, US, and France really are off limits. The extension remembers your previous location even if you turn it off and close Chrome. The Chrome extension comes with a tracker blocker, ad blocker, malware blocker, and cookie blocker. All of these features are new. I switched them on and found there to be some rather serious side effects. I was automatically logged out of the online account that I was working in due to these "blocker features." I couldn't log back in until I switched them off. At least this shows that it is doing something! I tested the advert blocker while connected to Germany. Without the ad blocker engaged, I was served German adverts. With the feature on, I was served absolutely no adverts. This is a very positive result, which seems to stand in stark contrast to the idea that Hotspot Shield is all about serving adverts. Clicking on the "Sites settings" configuration option (in the Chrome extension) allows you to select websites that you don't want to be affected by the proxy. You can also specify websites that the Hotspot Shield proxy extension will always cover - even if you've it set to "Off." This is a useful feature that allows you not only to avoid accidentally accessing a particular website without the extension, but also to easily whitelist websites that you never want to access via the proxy. This useful feature is called "split tunneling." Sadly it is only available in the Chrome extension (not in the full VPN client). When connected, the extension shows a Stop button, session duration time, and upload and download figures. It also shows you how many sites, adverts, and trackers it has blocked (if you have blocking enabled). You can switch server locations from this screen without having to turn off the proxy first. Strangely, the Hotspot Shield Firefox add-on never gets a mention on Hotspot Shield's website. To find it, you must go to the Add-ons screen of Firefox and search for Hotspot Shield manually. The Firefox extension was written several years ago and now looks extremely dated when compared to the new Chrome version. The Firefox extension only lets you connect to a random "optimized" location. It has none of the excellent features found in the Chrome extension. Does Hotspot Shield unblock Netflix? I was able to unblock Netflix with Hotspot Shield Elite connected to the US VPN server. It worked perfectly. I connected to the UK server, tried BBC iPlayer and again had no problem. This is excellent. It demonstrates that the elite version of the VPN works for unblocking content. The speed tests for this review were undertaken using Hotspot Shield Elite. The speed tests were performed from the UK, using a London server on beta.speedtest.net. Connection speeds were checked without the VPN connected first, to get base level results (for the UK and US). I tested the US server using a New York test server on beta.speedtest.net. I tested both the Netherlands and UK from the UK test server in London. In each case, I amassed the results from five tests. Each colored block in the graphs represents the range of speeds encountered, from highest to lowest. Please check out our full speed test explanation for more details. Hotspot Shield Elite performed at insanely fast speeds, which came extremely close to my connection speeds without a VPN. This does raise some questions about the strength of the encryption that Hotspot Shield Elite has implemented (which, I still have no concrete data on). Sadly, there's no way to know whether the speeds are lightning fast due to extremely good traffic routing or because of rubbish encryption standards. I am on the fence, but my gut instinct tells me that these speeds are too fast to be well-implemented encryption up to the standards of OpenVPN. Either way, if you want a VPN for streaming and you don't really care about privacy - this VPN is probably for you. I tested for IP leaks while connected to Hotspot Shield's UK server, using ipleak.net. I detected no IP leaks, no DNS leaks, and no WebRTC leaks. Unfortunately, I was unable to test for IPv6 because my ISP doesn't provide it. However, due to the fact that it has specific IPv6 protection built into the client, I would assume that this feature works. There are versions of the Hotspot Shield app for the Windows, Mac OS X, macOS, iOS, and Android operating systems. The browser extension is available for Google Chrome on Windows, Android, Mac OS X, macOS, and the iOS operating systems. There is also an add-on for the Firefox web browser. However, considering users get a data allowance of 750 Mb per day, it's still useful for people who are desperate to get around local regional restrictions and censorship. In fact, Hotspot Shield was the main VPN used during the Arab Spring. It was also used heavily in Turkey during website blackouts in and around the time of the military coup. You can only purchase Hotspot Shield Elite in a single plan. As such, no matter how long you decide to subscribe for, you get access to all of the VPN's features. The only difference comes in the form of the cost. The VPN is discounted significantly if you commit for a longer period. In order to enjoy the discounted monthly price, you need to pay for your whole subscription period upfront. In addition, AnchorFree sets up an automatic re-billing agreement with your bank account. Unless you cancel, it will charge you again when the subscription period ends. The firm has a 45-day money-back guarantee. In addition, you can trial Hotspot Shield Elite for seven days. This gives you plenty of time to cancel if you aren't happy with the service. You need to provide your credit card details in order to utilize the Hotspot Shield Elite trial. Hotspot Shield will automatically move you onto the paid plan unless you cancel your subscription during the seven-day period. Bear in mind that if you don't cancel the trial, Hotspot Shield will put you on the monthly tariff when it transfers you to the paid service. This is the most expensive plan. The best plan available for Hotspot Shield is a 2-year plan that reduces the monthly cost to the equivalent of $2.99 per month. An unlimited plan is also available on the website at a cost of $165. This is a good option for anybody looking for a streaming VPN. However, allow me to remind you that the ability to unblock Netflix US (for example) is a fluid situation and it is possible that Hotspot Shield will one day stop having the ability to unblock the service. As such, an unlimited plan should only be purchased on the understanding that the service could change. Hotspot Shield Elite accepts a large number of payment methods. These include PayPal, Visa, Mastercard, American Express, Discover, JCB, Diners Club, and Union Pay. Hotspot Shield's customer support isn't one of the service's strong points. Nowadays, premium VPNs are very good at dealing with consumers in real time. The very best services provide 24/7 live chat to help customers use the service and deal with problems. However, customer support seems to be under strain due to the massive number of users that the VPN has. Considering the cost of the elite service - which is very similar to other services that provide exceptional support - this is a disappointment. Consumers experiencing problems would be wise to first attempt to solve them using the knowledge base in the Hotspot Shield Help Center. This resource could be useful, but it doesn't have that many guides and is pretty limited. In order to submit a request for help, you'll need to click on the "Contact Support" button and open a support ticket. This ticket will be handled via the email address that you subscribed to Hotspot Shield with. When you type in the form's Subject field, it supplies a list of knowledge base articles that it thinks might help. When I filled out the form, the suggestions were no good. Thus, I had to continue filling in the rather invasive questions (it wanted to know details such as my operating system). Click on the "Get Hotspot Shield" button to access the download page. The download of the installer will begin automatically. When you first launch it, you'll be given the option to sign up for a seven-day free trial of the paid version. Enter your credit card details in order to access the trial of Hotspot Shield Elite. If you decide to go down this road, please remember to cancel before the week is up if you decide the service isn't for you - or you'll be charged for your first month. Note that using the seven-day trial takes away your entitlement to the 45-day money-back guarantee. Use a valid email address, as you need to verify the address to activate the service. "We never redirect our users’ traffic to any third-party resources instead of the websites they intended to visit. The free version of our Hotspot Shield solution openly and clearly states that it is funded by ads, however, we collect no personally identifiable user data and intercept no traffic with neither the free nor the premium version of our solutions. We never share any personally identifiable information with any of the advertisers. Our users’ online privacy has always been our absolute priority." "Turning Hotspot Shield on encrypts all of the traffic between your device and our servers using TLS 1.2 with perfect forward secrecy (ECDHE), 128-bit AES data encryption." This level of security seems Okay and would usually be considered secure. Sadly, however, because Hotspot Shield implements a proprietary protocol called "Catapult Hydra," we do not have the exact details about how encryption is being implemented. For this reason, I simply can't say that it is definitively secure. What we do know, is that Hotspot Shield claims that Catapult Hydra has been audited and that it is being used by some major players in the tech sector. 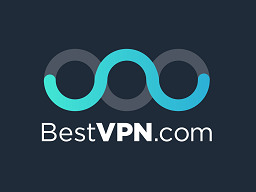 Unfortunately, BestVPN.com have not seen that audit (or even any proof that it exists). For this reason, we cannot verify that this is actually the case. As is always the case with VPN security - it is impossible to vouch for technology that is not Open Source - unless there is a publicly available third-party audit that has been carried out by a reputable firm. This is good news indeed, it means that users of all versions of Hotspot Shield no longer need to worry that IP addresses are being stored alongside connection logs. Despite Hotspot Shield’s claim that this data “does not identify you,” we tend to disagree. We feel that wireless network, approximate location, and mobile network id can be used to identify you. For this reason, we believe Hotspot Shield still has invasive data practices. No IPs is a good move (and certainly makes Hotspot Shield better on the desktop version), but the mobile app does tell AnchorFree (and its third party affiliates) a lot of high-risk data. "If you use Hotspot Shield Elite, the premium subscription-based version of our product, we will not serve any ads and thus no information will be collected by our third party ad partners on the Elite product." This helps to clarify that Hotspot Shield is not directly collecting information about people’s VPN use in order to allow AnchorFree (the company that owns Hotspot Shield) – or any of its third-party affiliates – to perform personalized advert targeting. This still seems like a rather long list of firms with which data can be shared (especially considering what Hotspot Shield is still collecting from users even on the premium version). On the plus side, this VPN is fast and unblocks plenty of content. If you are looking for a good streaming VPN and you aren't that bothered about it having unverified encryption: Hotspot Shield is very good for unblocking streaming content in HD. As a streaming VPN there are few VPNs that are so quick - so take it for a test run! As for the free Chrome browser and the free Hotspot Shield (750Mb per day) service? They work well and have been used by literally millions of people in times of desperate need. For this alone, Hotspot Shield deserves a big pat on the back. Waste! It auto-booted itself and started updating itself. and then started connecting me to a network while i was working online. I was almost done with my downloads right before HSS screwed me up and i lost my 1 GB. Vanished into thin air. THAN YOU. Im never using your services. Hi Andrew, BestVPN.com does get paid for affiliate links - how else do you think we can afford to operate a site like this this? We are very open about this. Almost all VPNs, however, offer an affiliate scheme, so it doesn't really make much difference to us which one you choose. Indeed, we pride ourselves on our impartiality, which is necessary if we want our readers to trust us. Please note that services such AirVPN and Mullvad do not work with us, yet we have nevertheless given them glowing reviews and placed them high on many of our 5 Best lists. This article is misleading as it does not review Hotspot Shield Elite, but smears it with perceived weaknesses of the free version. Also contrary to what is suggested here they unequivocally state that they do not keep logs: https://support.hotspotshield.com/hc/en-us/articles/207150696-Hotspot-Shield-doesn-t-keep-logs I have used Elite for several years (there are many deals out there and I pay just £19 a year recurring) and I have been very happy with their service. Hi, Simon, Your enthusiasm for HotSpot Shield Elite does you credit. The combined user base of both HotSpot Shield and HotSpot Shield Elite is very large, so there are many people on your side. As a writer at BestVPN, I am not given any instructions on who to push up and who to denigrate. I was hired, and I continue to be employed by this site, because I tell it like it is. I will not recommend a VPN if I feel that it does not work well to protect its customers' privacy. HotSpot Shield makes a big point of excluding IP addresses from its definition of "personal data" and then continues in its terms of service to stress that it will not report on "personal data." HotSpotShield Elite is tainted by AnchorFree's advertising income stream. I had never encountered a VPN service that also sold advertising space on user screens until I wrote this review. I was shocked. However, I then investigated Hola and discovered that it was even worse than HotSpot Shield. 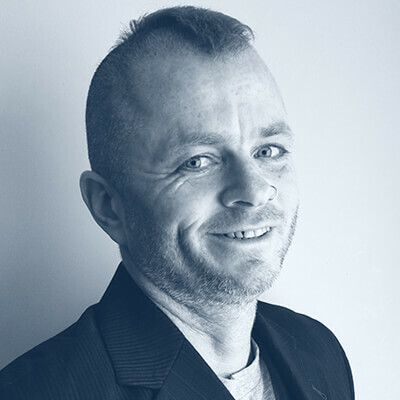 My fellow writer, Ray Walsh, recently reported on complaints against AnchorFree for misleading users around the issue of IP addresses. I also investigated Betternet and found that it was even worse. Betternet is now the reigning worst VPN in the world and it is a sister-service of HotSpot Shield. You are already a customer of HotSpot Shield Elite and you seem very loyal. However, I have no hesitation in recommending that all new VPN customers stay away from HotSpot Shield, HotSpot Shield Elite, and Betternet.